Let’s be honest, fast food is exactly that: FAST FOOD. It is the food you can get to go, whether it is late at night and want an easy dinner, a fast fill-up if, a snack or if you want a quick stop on a road trip. The age old question is which fast food restaurants are the best? Time Magazine recently published an article titled, “This is the best fast food chain in America.” This article focused on the average cost and how people would rate the service on a scale of 1-5. Price has been criticized for not being a “college town” however in the list of the top 15, Price has seven while Ephraim, home of Snow College, has two. Price clearly has the best options when it comes to fast food, both in price and service. Here are a few of the restaurants that were ranked very high and located in Price. Dairy Queen- Dairy Queen ranked number two on the list. It is the second best fast food restaurant in the nation, and Price has it. It is most famous for its soft-serve ice cream and being open until 10 p.m., this is a perfect place for a sweet treat late at night. A&W and KFC- Both restaurants ranked very highly on the list, fourth and 10th respectively. They ranked higher because of the overall price and customer satisfaction. These restaurants are in Price as a duel restaurant, so if you are want a little of both, this place is perfect. So get some of that famous Kentucky Fried Chicken, and top it off with a cold A&W root beer float. McDonald’s- To no one’s surprise, the Golden Arches ranked really high. With it being relatively cheap and have good service, it ranked number 5 overall. 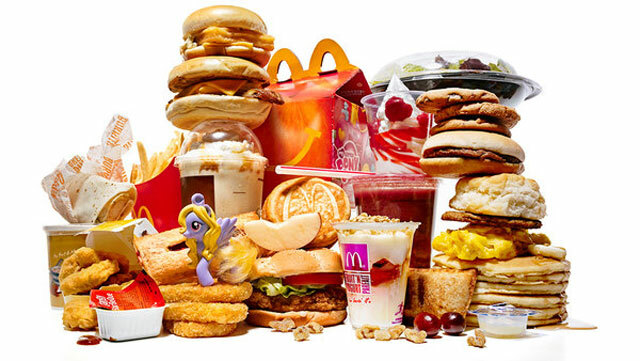 Not only does a Big Mac, a Diet Coke and some of those addictive fries always seem to hit the spot, but with a great breakfast menu items McDonald’s will always be a classic. Taco Bell- A group of Snow College students came to our Fan Appreciation Night last year, and after comparing which town is better, could not argue the fact Price has a Taco Bell. If that doesn’t prove how amazing this chain is I don’t know what will. Aslo have you ever tried a Doritos Locos taco? Wendy’s- I have no idea why this chain is not number one on the list. Nothing can compare to the classic Frosty, which is by far the best fast food ice cream out there. Also with a deal like the “4 for $4” nothing can compare. Wendy’s you are on the best fast food chain no matter what anybody else says. Burger King and Arby’s- These chains both made the list, however both ranked very low. Even with them both ranking low these chains also bring jobs and food to Price. So if you love a classic Whopper or a roast beef sandwich these are perfect. Another great place is Grogg’s. If you want a homestyle cooked meal. I always recommend getting whatever they have as the special. Melissa Anderson enjoys The Greek Street. “It’s pretty darn good,” she said. Don’t forget those amazing shakes at Sherald’s. Helper also has great options like the homie Balance Rock Cafe. Luke Madsen likes the bacon cheeseburger. Another great place is Happiness Within. Not only does it have fantastic coffee, but make sure you get the student discount. Price might not be perfect, but in regard to fast food it is supreme and honestly much better than Ephriam. Students at Snow College only have two options, McDonald’s and Subway, which is a very sad selection. The only thing that it is missing is a Chick-fil-A and those amazing waffle fries.